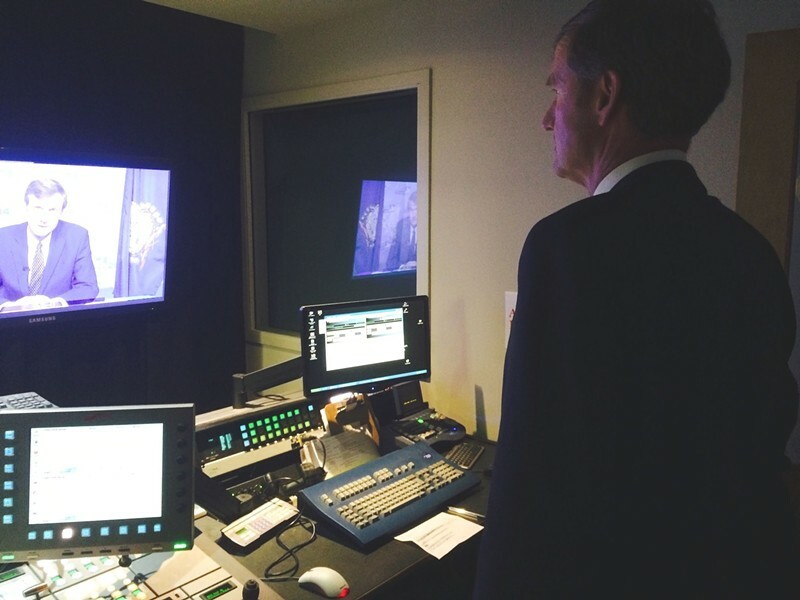 Scott Milne reviews a campaign ad he filmed inside Vermont PBS studios in October. Pretty much nothing has gone according to script in Vermont’s bizarro/not-quite-over/only-got-interesting-after-Election Day gubernatorial race. So we probably shouldn't be surprised by what went down this morning. Republican Scott Milne was due to announce this week whether he will contest the race in the legislature, where lawmakers must chose the winner in January since neither he nor Democratic Gov. Peter Shumlin cleared 50 percent on Election Day. Late this morning, reporters across the state opened emails from the Milne camp, prepared to bring the public the news … and received yet another reminder that Scott Milne doesn’t give a flying cow pie about conventional wisdom. Milne announced that he had no announcement. Instead, the Pomfret travel agency owner said he will continue to mull his options for two more weeks and will declare in early December whether he will ask lawmakers to defy modern precedent and cast their ballots for him, even though he lost the popular vote by more than 2,000 votes. “I have been overwhelmed with the words of encouragement I have received from all corners of Vermont,” Milne said. “What I am hearing from many Vermonters is that they are heartened and encouraged by my campaign’s success. Many people feel there is an opportunity for their voices to be heard." In recent history, Vermont lawmakers have almost always ratified the winner of the popular vote, regardless of party affiliation. 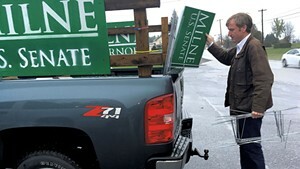 But Milne has said he might ask legislators whose district he carried to cast a ballot for him. That scenario has captivated Vermont political junkies. While Democrats enjoy large majorities in the both chambers of the legislature, the Rutland Herald calculated that, should lawmakers buy into Milne’s electoral college scheme, the result would be a 90-90 tie. And no one is quite sure how a tie would be resolved. And even if he falls short, Milne's possible gambit would force Shumlin to lobby lawmakers to help him keep his job, and would create a Statehouse food fight on the eve of a legislative session expected to be dominated by heated debate about health care and property taxes. Election Day 2014. May it never end.